The superproducer and entertainment mastermind is closing out the year with a bang. 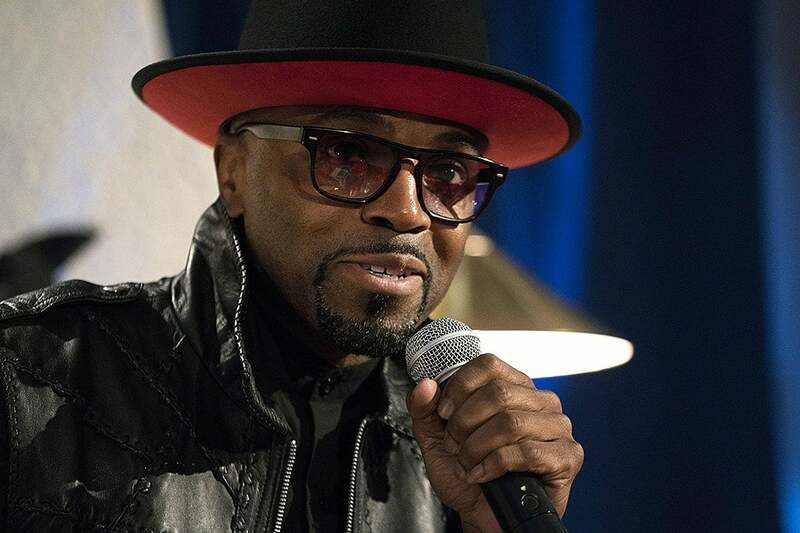 2019 has been quite the year for Teddy Riley and he’s bringing things to a close with a bang. After a whirlwind year that included receiving a shoutout from Bruno Mars at the Grammys, joining the 2019 Hollywood Walk of Fame class and celebrating 30 years of the New Jack Swing sound on the ESSENCE Festival mainstage, the entertainment guru is bringing a little of his magic to NYC with some help from a few friends. 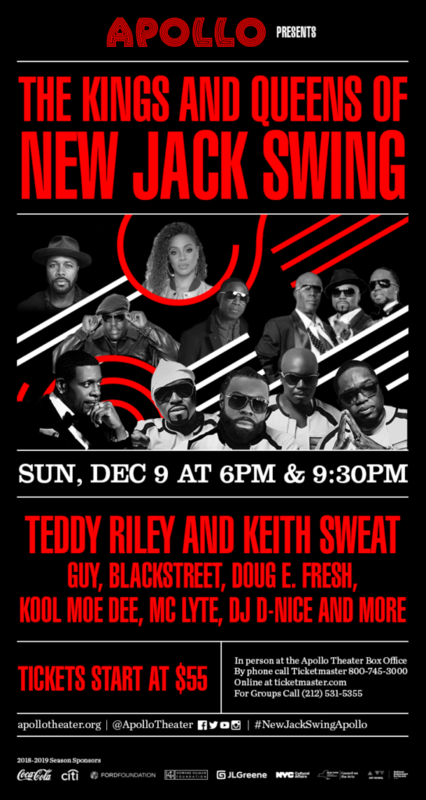 Keeping the momentum going for the holiday season, Riley will be culminating his year-long celebration of the New Jack Swing milestone with not one, but two all-star reunion shows at NYC’s legendary Apollo Theater. In addition to Riley himself hitting the stage, the star-studded line up for the event will include performances from Keith Sweat, Blackstreet, Doug E. Fresh, Guy, MC Lyte, Kool Moe Dee, DJ D Nice and more. The shows will take place on Sunday, December 9, at 6:00 PM and 9:30 PM, with ticket prices starting at $55. For more information and to purchase tickets, click HERE.